In today’s roller-coaster stock market, having the right financial advisor in Dallas, TX on your side is critical to ensure your portfolio is resilient. Dallas offers a variety of registered investment advisors (RIAs), financial planners, and wealth managers. But, how do you know which Dallas financial advisor is right for you? When choosing a wealth management expert, there are several questions to ask. Such as whether they earn commission by selling you particular products, or if they are bound to always put clients’ best interest ahead of their own. 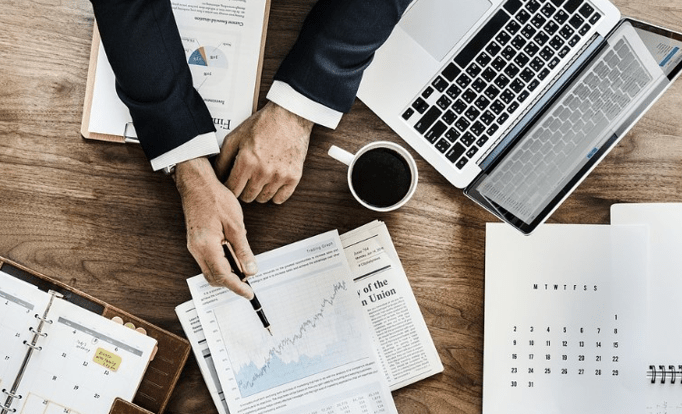 Other factors to consider when choosing the best financial advisor in Dallas, Texas are the wealth range that an investment planner works with and whether they have any specialties, like working with women in transition or with entrepreneurs. A search for the best wealth management firm in Dallas can be incredibly time-consuming if you do it on your own. 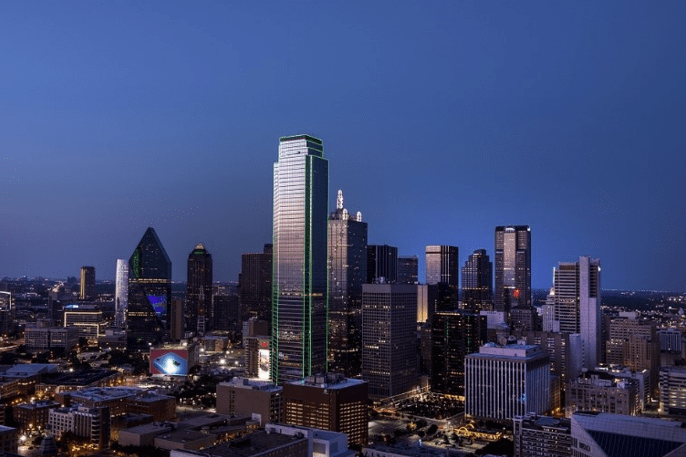 AdvisoryHQ helps narrow down the choices by conducting a detailed analysis of wealth managers, financial, and investment advisors in Dallas, Texas. Below, you’ll find 10 of the top-rated investment firms in the Dallas area we’ve included on our 2019 ranking. We’ve also included some valuable information to make your search easier, such as the clientele they work with, their overall rating, and highlights of what makes each financial management firm stand out. How Do You Select the Best Dallas Financial Advisors for Your Financial Needs? It can be daunting when you’re looking to choose the best Dallas, TX financial advisor because there are so many options. How do you know a financial planner will be a perfect fit for your financial goals and the amount of money you’re looking to invest? There are a few key questions that will help you narrow the search and better match you with that Dallas wealth management firm that’s a perfect fit. What Wealth Range Do They Work With? Some financial advisors in Dallas work with families and those planning for retirement that are looking to grow a modest nest egg into a larger one. Other investment firms work with high-net-worth individuals, with assets of $1 million or more. This is a key question to start off with when seeking a Dallas financial advisor, so you’re matched with the best firm for your wealth range. Do They Have Experience with Your Life Situation? Some Dallas financial advisors specialize in wealth planning after a death or divorce. Others work with those in retirement or nearing retirement. Your current life situation and goals for the future will have a big impact on your financial planning strategies. Make sure to speak with a potential wealth advisor about your current situation, whether you’ve recently changed jobs, received an inheritance, or anything else pertinent to your financial planning goals so you can see if they’re a good fit. Are They Fee-Based, Fee-Only, or a Fiduciary? It’s important to know the difference between these three terms and whether a Dallas financial advisor is fee-only or fee-based. Both types can also be a fiduciary. Here is a primer on these three terms. Fee-Based Dallas Financial Advisor: A fee-based financial advisor, financial planner or asset manager may receive part of their compensation in the form of a commission or kickback for recommending certain financial products that are provided by other financial services firms. Fee-Only Dallas Financial Advisor: Fee-only financial advisors do not accept any commission for recommending a product or service that is provided by a bank, broker-dealer, investment firm, mutual fund, insurance company, or from any other source other than the fees they receive from you, the client. Fiduciary: Legally bound to be transparent and always act in the best interest of the client. 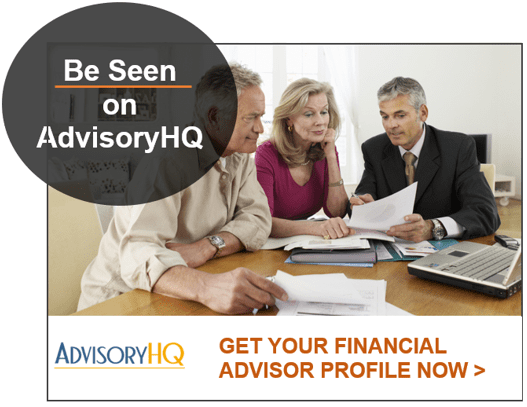 AdvisoryHQ leans toward firms that are fee-only because they do not have any inherent conflicts of interest since they do not accept commissions for selling products or services. However, there are fee-based firms that are also fiduciaries, which offers an extra level of trust that they will keep a client’s best interest first when making financial recommendations. 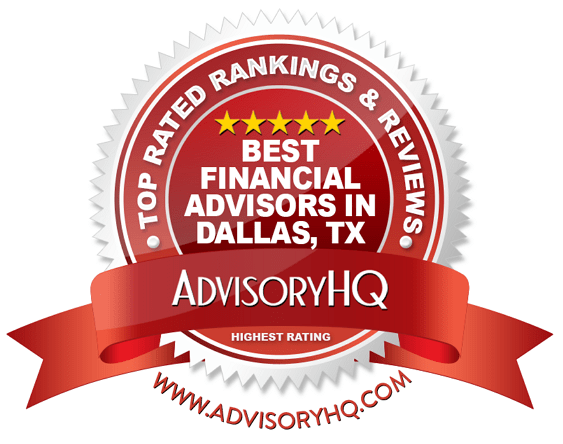 As you review this top-rated list of Dallas financial advisory firms, you’ll find information that will help answer the questions above and give you a better feel for which firms meet your financial goals best. After narrowing down your option for financial advisors in Dallas, TX, it’s a good idea to see if any offer a complimentary consultation so you can sit down with them and get a better feel for the firm and advisors you are to work with. Below, please find the detailed review of each firm on our 2019 list of best wealth management firms in Dallas. We have highlighted some of the factors that allowed these Dallas financial advisors to score so high in our selection ranking. Beaird Harris was first started over 30 years ago as a “different kind of” CPA firm, one with a focus on really listening to their clients. That passion evolved into the investment advisory arena in 1996, when Beaird Harris Wealth Management, Inc. was created. This fee-only, fiduciary wealth management firm in Dallas has grown quite a bit over the years and has recently reached over $1 billion in assets under management. Their core clientele includes over 500 individuals and families, businesses, and healthcare professionals. 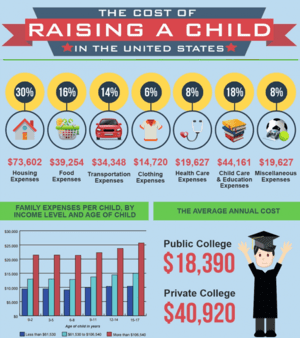 Tax implications can significantly impact any great financial plan. You may realize above-average returns, but without knowing that your decisions often have tax implications, a hefty portion of your earnings or the money you set aside for your heirs could end up being paid out in taxes. This is where having a CPA background really comes in handy. Beaird Harris is a wealth management firm in Dallas that fully understands the importance of taxes, helping clients navigate through a challenging tax landscape filled with ever-changing regulations and complex rules. Not all wealth management firms in Dallas, TX cater to young professionals that are just starting their work and financial journey. For young high-income earners, this financial advisor in Dallas offers a program called Young Professionals. Designed to help younger clients develop healthy financial habits, their Young Professionals Program assists clients that are committed to saving a minimum of $8,000 per month with effectively building wealth throughout their life including paying off student loans, financing a home, and saving for retirement. Which risk management strategies will best meet your needs? Starting out as an accounting firm gives Beaird Harris a unique edge over other top Dallas wealth managers in the area. Their ability to comprehensively provide both investment and financial planning services along with a litany of tax services makes them a great option for many individuals and businesses. The additional specialty services offered by this Dallas financial advisory firm, such as the Young Professionals Program and their business consulting services, further enhance their overall value. This Dallas wealth management firm has also garnered industry accolades, such as Top CPA/Financial Services Firms in America (CPA Wealth Provider) and Top 100 Fee-Only Wealth Management Firms (CNBC). As a fee-only fiduciary offering financial planning and investment management to individuals, families, businesses, and healthcare professionals, Beaird Harris observes high standards of integrity and excellence, solidifying the firm’s 5-star rating. Founded in 2004, Chessman Wealth Strategies is an independent financial advisor in Dallas, Texas. Besides the Dallas area, they also offer services to clients throughout the United States. Chessman Wealth provides financial planning and wealth management services geared to a unique set of clients. This financial planner in Dallas proudly operates on Christian values and is committed to providing financial advice accordingly, making the firm an excellent option for clients that prefer a value-based approach. They serve widows, pre-retiree, retiree, and business owner clients. While the firm does not clearly indicate whether they are fee-based, according to their Form ADV Part 2A Disclosure Brochure, they do not receive any compensation from third parties for brokerage referrals. Advisors may receive additional compensation or commissions through insurance or Medi-Share recommendations, which points to a fee-based structure. 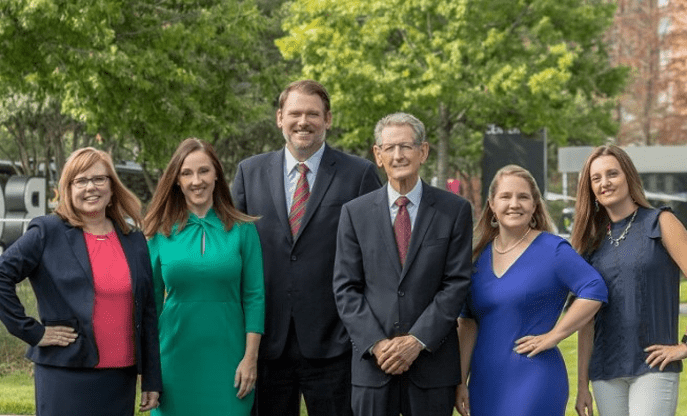 We have included Chessman Wealth on our 2019 ranking of Best Dallas Financial Advisors because of their fiduciary commitment. As a Registered Investment Advisor (RIA) with a fiduciary commitment to their clients, they are legally obligated to be completely transparent regarding their fees and put their client’s best interest above all else. For those that follow a faith-based path as Christians, this firm is one that you may find fits your values and principles perfectly. As Christian Financial Advisors in Dallas affiliated with Kingdom Advisors, an organization of Christian financial advisors, they believe in the eternal significance of the decisions you make concerning the stewardship of the resources God has bestowed upon you. The Certified Kingdom Advisor™ designation is one that indicates you’re working with a financial advisor who acts according to the higher standard found in scripture. Advisors are required to complete nine months of training and meet high requirements of stewardship. If you’re looking for a Dallas financial advisor that is grounded in faith-based principles, the team at Chessman Wealth is a great option. As a top financial advisor in Dallas, Chessman Wealth has many positives to choose from. Not only do they offer faith-based financial advisement and holistic approach to financial planning, but they also offer free, no-obligation consultation. They have multiple CFP®s on staff and they’ve been serving clients not only in Dallas but also in Houston, Austin, and San Antonio, Texas as well as clients in other states. We do feel it important to point out that their fees are significantly higher than that of competing rates for wealth management in Dallas. Clients investing less than $5 million will find annual fees of between 1.80%-1.30%, which are significantly above national averages (1.18%-0.84% for between $50,000 to $5,000,000). With that said, however, paying higher fees for financial services that are aligned with their Christian values may be more than worthwhile, maintaining Chessman Wealth as a competitive option among Dallas wealth management firms. Chessman has made an effort to make their fees as transparent as possible to their clients, including their detailed Form ADV on their website. Due to their efforts to always put their clients’ best interest at the forefront, they have moved up in the rankings this year to a 5-star rating. Based in Southlake, Texas, Clintsman Financial Planning is a fee-only wealth management firm serving clients in the Dallas/Fort Worth area. 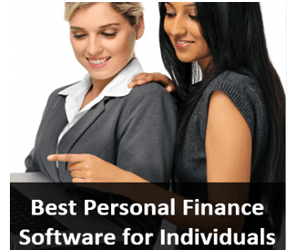 They empower individuals to make the best financial decisions possible and offer their experience, objectivity, independence and flexibility to clients of all kinds. While some financial advisors in Dallas only work with certain income levels, Clintsman Financial welcomes clients of all wealth levels. This wealth management firm in Dallas offers a wide range of financial planning services. Their team of Dallas financial advisors tailors their services to meet your needs, whether you have a few small questions or more long-term needs. 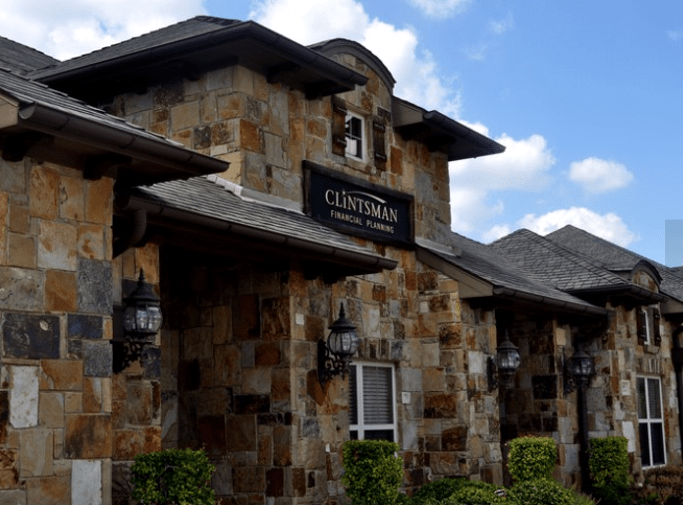 If you’re not sure what to expect when you visit a wealth management firm in Dallas, Clintsman’s website will make you feel at ease. They outline the financial planning process clients can expect, so they’ll feel more comfortable when they make that first appointment. The process entails the following. Initial Inquiry: Upon the first contact, receive brief information about their fees, methodology, and philosophy. Get Acquainted Meeting: This free, one-hour conversation is a great way to share your goals, get introduced to services that are right for you, and receive an estimated fee quote. Analysis & Plan Creation: Research and analysis are conducted to come up with specific recommendations and financial plan for your unique needs. Presentation: Dallas financial advisors present the proposed plan and course of action to their client. Implementation & Follow-up: Advice proposed during the presentation is put into action either on your own or in conjunction with your financial planner. Clintsman Financial Planning is one of the most accessible financial advisors in Dallas. With fee-only advisement, a client-centric approach, and over 60 years of combined experience, this firm offers expert financial services, making them one of the best financial advisors in Dallas to consider partnering with this year. The firm’s flexibility with each client’s needs, no matter how small or large, is particularly unparalleled. They’re a financial planning firm that strives to serve everyone, no matter where they are on the financial spectrum. Clintsman has a Dallas wealth management team at that can create a plan you can put into action yourself, leaving the option to engage their services in the future if you choose, ultimately providing a very customizable experience and solidifying the firm’s 5-star rating. Heritage Financial Planning is an experienced Texas financial advisor with offices in Dallas and Grapevine, Texas and Atlanta, Georgia. They specialize in retirement planning, investment management, asset allocation, and stock options planning. With approximately $188 million in assets under management, HFP is a fee-only, fiduciary wealth management firm in Dallas that considers themselves a true consulting firm that works solely for their clients and empowering them to make the best financial decisions possible. As a fee-only financial advisor in Dallas, Heritage Financial Planning provides a transparent fee structure based on assets under management. According to the firm’s Form ADV, clients can expect to pay anywhere between 1.00% and 0.50% for financial planning services, depending upon the account size. For accounts over $50,000,000 fees are negotiable. Interestingly, minimum annual fees will differ depending on the financial advisor that a client works with, ranging between $3,000 to $10,000. This offers clients of all account sizes the opportunity to access experienced asset management services, demonstrating unique flexibility from these Dallas financial advisors. Clients also have further flexibility to choose between hourly and fixed fee arrangements for financial planning and consulting services, the costs of which are clearly outlined in their ADV Part 2A. The Heritage Financial Planning team is highly experienced in the financial industry, with senior members of the financial planning team holding the Certified Financial Planner™ designation, among other professional certifications. HFP’s robust team also includes a Wealth Enhancement Team, which consists of a Certified Admissions Advisor and a Social Security Specialist, providing college funding advice and tax planning to add one-of-a-kind value to their Dallas financial advisory services. Founder and Principal Steve Blankenship has over a decade of financial expertise through formal education, real-world experience, and his relationships with other award-winning financial advisors. He likes to think of each person’s financial planning goals as being as unique as their fingerprints. Because they are a fee-only and independent financial advisory firm, Heritage Financial is not driven by sales or commission, but rather by their clients’ financial needs and future goals. They’ve earned their clients’ trust by working to empower them and tailor financial solutions for their unique financial situations. Their Resource Center, which includes a selection of presentations and videos, further illustrates this Dallas financial advisory firm’s drive to empower through education. With a talented and experienced team, extremely flexible pricing options, and a fee-only commitment, HFP earns a full 5-star rating as one of the best financial advisors in Dallas. HFS Wealth Management has been helping individuals, families, business owners, and institutions manage their wealth since 1994. This fee-only financial advisor in Dallas takes pride in knowing their clients on a personal level and providing them with an elevated level of service with integrity. This Dallas wealth management firm acts as an objective advisor serving in the best interest of their clients, free of any conflicts of interest. Their goal is to help clients simplify their lives by handling their financial planning needs. With financial planning, consulting, and investment management at the forefront of their services, HFS provides clients the tools they need to create, execute, and manage their financial goals. 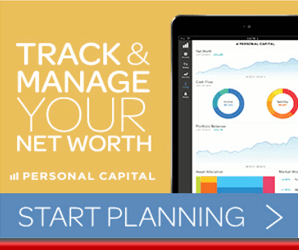 HFS Wealth Management Dashboard: Your main “control center,” your “living” financial plan. Browse with complete security from a desktop or mobile device and manage your entire financial world. 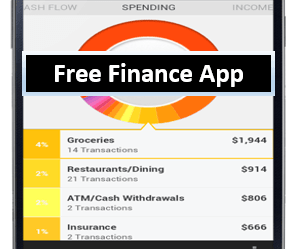 The system helps you organize your finances while staying connected with your wealth manager. HFS Investment Portal: Gives you an insight into your investment portfolio managed by HFS Wealth Management, but also investments offered by their sister company, HFS Capital Partners. 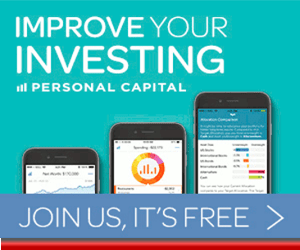 Holdings, values, expenses and income, gains and losses, deposits and withdrawals, and performance get updated daily. 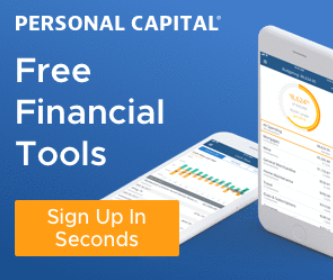 Custodian Account Access: HFS Wealth holds custodian accounts with Charles Schwab, TD Ameritrade, and Jefferson National. You can log in for a variety of additional services such as your holdings, custodian statements, and tax information. With a robust investment team of qualified financial advisors, HFS Wealth has the expertise to help their clients conquer a variety of financial activities that will help you achieve your financial goals and objectives. Their focus on objectivity and fee-only compensation help to instill trust between advisor and client. The firm’s goal of delivering comprehensive, personalized and easily accessible financial advice, earns HFS Wealth an overall 5-star rating. With over 40 years of wealth management experience, Lee Financial is proud to still be an industry leader and innovator. They provide financial planning and investment management services on a fee-only basis, meaning they do not have any inherent conflicts of interest that come with commission sales. As an independent financial advising firm, they serve a variety of high-net-worth individuals and families, including physicians, entrepreneurs, executives, and widows or widowers, who have at least $1.5 million in investable liquid assets or a combined annual income of $500,000. Founded on the premise that “the whole is greater than the sum of its parts” is Lee Financial’s WholeVision™ process, which pulls together several areas to provide an integrated financial planning process. The process involves four primary forms of capital, as outlined below. This is the non-tradable asset of each person as an individual. Through life experiences, job skills, and personal tastes and talents, each person holds their own human capital, which usually is the largest contribution to each person’s future net worth. Based on your human capital, this is a representation of financial assets which are invested to help you achieve long-term goals such as financial security, working capital for entrepreneurs, and support obligations. This area is the chosen lifestyle and personal rewards that people make room for. 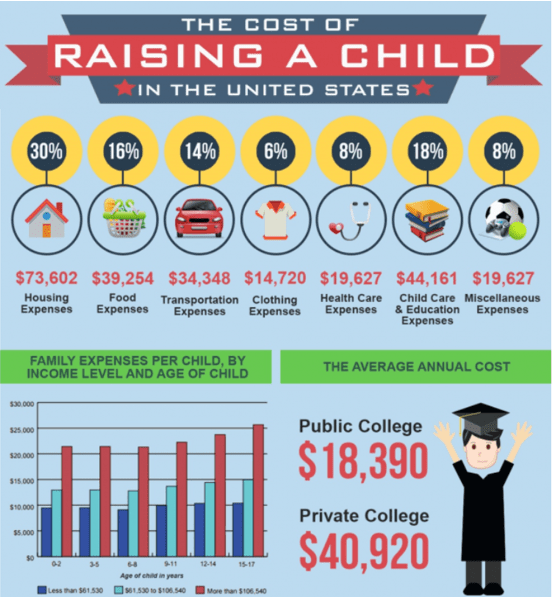 These costs usually evolve over time and are largely based on the success of human and financial capital. Shared capital is the voluntary allocation of assets set aside for purposes such as family trust funds, philanthropic purposes, or for income or estate taxes. Lee Financial has a one-of-a-kind approach to understanding all the parts of the whole that make up the capital of a person’s financial life. As a fee-only fiduciary, the firm sets itself apart not only by their client-centric focus, but also from their highly skilled team, access to alternative investments, and independent research team. Although their minimum investment may be higher than the average, this financial planner in Dallas offers the skills and capabilities necessary to handle complex financial challenges of high-net-worth clients, earning the firm a well-deserved 5-star rating. They may be physically based in Dallas, Texas, and Fayetteville, Arkansas, but Paradigm Advisors, LLC is a virtual practice that works with clients worldwide. They provide fee-only financial planning built on a strong foundation of support. While some firms only work with high-net-worth investors, Paradigm prides themselves on working with both the “Explorers,” who are those that are new to financial planning and the “Masters,” established professionals navigating retirement or educational financial goals. When working with some financial advisors in Dallas, clients often need to meet high account and investment minimums. However, that is not the case with Paradigm Advisors who believe that financial planning is appropriate for all levels and all walks of life, increasing accessibility. Besides assisting with long-term wealth management, Paradigm Advisors also provide assistance for special projects, where a client may not need a full financial plan, but rather wish to address a specific life change or circumstance. While many Dallas financial advisors provide overviews of the clientele they work with, Paradigm Advisors takes an original approach, separating clients into Explorers and Masters. Explorers are often independent professionals, entrepreneurs, or freelancers in the early stages of their career. They may be considering big financial decisions like buying a house, starting a family, or switching careers and are looking for some financial guidance. Masters are financially stable professionals that value expert and experienced feedback on life changes like retirement strategies, education for their children, buying a second home, or supporting elderly parents. Paradigm Advisors may not be one of the larger Dallas wealth management firms on our list, but they are one of the most qualified, while also offering services to all types of investors at different net worth levels, making them a unique choice for potential clients. Their professional affiliations and accreditations constitute an impressive list, including NAPFA, FPA®, CFP®, CFA®, CPA, AICPA, XY Planning Network, and more. With a client-centric philosophy, fee transparency, and a wide range of professional certifications, Paradigm Advisors is an excellent Dallas financial advisory firm to consider partnering with this year. Starting from a single-family office in 1997, Tolleson Wealth Management is a Dallas–based wealth management firm that has flourished over the last two decades growing into a multi-family office that specializes in serving ultra-high-net-worth clients. While this financial advisory firm in Dallas uses fee-based compensation, it maintains a commitment to putting their clients first. They state they are “here to serve, not to sell” and they do not incentivize with sales commissions. According to Tolleson Wealth, they focus on the desires of their clients and craft portfolios tailored to their distinct needs rather than pushing a single “cookie-cutter” approach. Banking is a core element of a fully integrated financial management plan. For this reason, Tolleson Private Bank was created to serve all its clients with in-house private banking options. You’ll find similar services offered as large corporate institutions by this financial advisor in Dallas TX. But Tolleson has the advantage of proving those along with maintaining exceptional personal relationships with their clients. With a focus on providing seamless, client-centric services for ultra-high-net-worth individuals and their families, Tolleson Wealth Management is one of the top Dallas wealth management firms that is also a multi-family office. Although they’re a fee-based firm, Tolleson firmly states that they do not incentivize their team with any commissions and put their clients’ best interest first, thus securing the firm’s 5-star rating. For those in a particular high-wealth bracket, this financial management firm in Dallas offers the concierge-type experience that they may be accustomed to. True North Advisors was founded in 2000 by Scott Wood and Mark Gehlbach with the goal of providing an atmosphere that was free of conflicts of interest and with the client’s best interest at heart. This fee-based Dallas wealth management firm’s sole purpose is to help clients lead more fulfilled lives. Today, the firm boasts over $1 billion in assets under management and has the scale, size, and systems to help clients reach their financial goals, no matter what those may be. True North Advisors adheres to a fiduciary commitment to provide clients with the best advice and that they earn nothing from product sales or commissions. An obvious advantage that clients have when partnering with True North Advisors is their large team with a deep and diverse range of professional experiences and certifications. The team at this top-rated Dallas financial management firm holds several professional certifications and qualifications, including CFA®, CAIA®, CFP®, CIMA®, CPWA®, and more. As a top financial advisor in Dallas, True North believes that establishing trust between client and financial advisor is the most important part of financial management, so they created The Three-Sixty Process. With a focus on truly getting to know each client before the financial management begins, The Three-Sixty Process guarantees a financial advisory outcome that is beneficial, productive, collaborative, and truly personalized. True North Advisors was founded on the principle of putting their clients’ and their future ambitions first and foremost and offers a personalized approach to Dallas wealth management. While browsing their website you can feel their passion for collaborative focus, dedication to conflict-free money management, and their truly comprehensive “getting to know you” process. With a fresh take on wealth management, a strong fiduciary commitment, and a dedication to providing expert financial services, True North Advisors is one of the best financial advisors in Dallas to consider working with this year and earns a 5-star rating. SFMG Wealth Advisors is based in Plano, Texas and strives to instill financial confidence in their clients. Their financial advisors bring as a variety of unique backgrounds and viewpoints as well as years of experience together to craft customized, comprehensive financial plans. This fee-only wealth management firm in Dallas is an independent Registered Investment Advisor (RIA), meaning that their Dallas financial advisors are not obligated to push any particular products over others. This independence fosters an environment for financial advice that is completely unbiased and focused on their clients’ wealth accumulation only, making SFMG Wealth Advisors one of the best financial advisors in Dallas to consider partnering with this year. SFMG has a simple philosophy when it comes to client relationships: Consistently deliver advice that fosters successful and confident clients. Your SFMG financial advisor in Dallas understands that there are many separate pieces that come together in a successful financial plan. This is why they will partner with the team of professionals you may already work with, including attorneys, tax accountants, and more. They take a long-term view to assist clients with planning for a successful life where their finances can support their goals and lifestyle. A key component to SFMG’s inclusion on our 2019 ranking of the best financial advisors in Dallas is their dedication to providing comprehensive financial services as a fee-only, fiduciary advisor. As an RIA, SFMG Wealth Advisors is not only completely committed to acting in their clients’ best interests, but they are also legally obligated to do so. This provides a solid foundation of trust upon which to build the client-advisor relationship. The one factor that was lacking compared to others on the list was fluid and easy to navigate website. SFMG ultimately earns a 3-star rating due to their website being slightly cluttered and difficult to navigate, particularly via mobile, which some potential clients could find challenging. Dallas, Texas offers expert financial management to just about any type of investor. From those that are ultra-high-net-worth looking for a concierge experience to those just starting out with a home and family seeking a partner to guide them through their financial life. While our list has a well-respected mix of top-rated financial advisors in Dallas, you may still be stuck about which wealth management firm to choose. In these cases, don’t be shy about requesting a free consultation or second opinion, as many financial advisors in Dallas offer a complimentary consultation. This is a great way to evaluate the financial partnership before making a commitment. Another tip for getting the most out of your initial meeting with a potential wealth management firm in Dallas is to write down your financial goals for the future and what you’re looking for from a financial manager. While there is no one-size-fits-all financial advisor in Dallas, Texas, we have made our selections carefully and have no doubt that there is an advisor on our list that will match or even exceed your expectations.